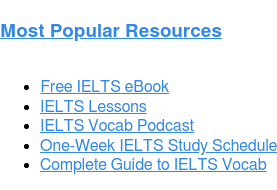 Home › About the IELTS Exam › IELTS Frequently Asked Questions › Can IELTS Academic be Used for Immigration? As you probably know, IELTS Academic is used for acceptance to universities. But can IELTS Academic be used for immigration too? 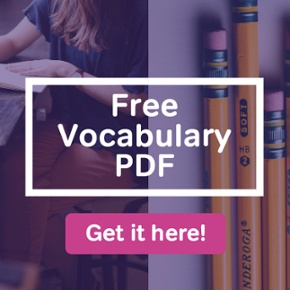 to the Academic version, General Training’s Reading and Writing sections contain tasks that are more relevant to the English everyday work and life. IELTS Academic is less geared toward the daily work and life that immigrants face in the English-speaking world. Instead, the Reading and Writing activities are more oriented toward academic English. For this reason, IELTS Academic may not prepare you quite as well for the immigrant experience. That being said, there are ways you can use this test for immigration, under certain circumstances. Are you applying for a skilled migrant visa as a medical professional? If so, you’ll be asked to take the IELTS Academic, rather than General Training. The IELTS Academic exam is used to grant visas to a wide variety of healthcare workers. Doctors and nurses are given the academic version of the test for immigration. So are nursing assistants, pharmacists, speech-language pathologists, and so on. Some countries even give the IELTS Academic exam to medical lab technicians. Do You Need to Take IELTS General Training to Stay In-Country After Your Degree? Suppose you’ve just graduated university in a country such as Australia, Canada, the U.S., Ireland, etc…. And suppose you now want to stay in-country and get a job. You took IELTS Academic to get into school. Do you now need to take IELTS General Training to switch to long-term immigration? Don’t worry — you probably don’t. All the major English speaking countries allow international students to pursue work after graduation, as an extension of their initial student visa. The policies on how to do this vary from country to country. But generally, working in-country after graduation doesn’t require any new English testing. This is an indirect way of using IELTS Academic to immigrate. If the Academic version of the test can get you into school, you won’t need General Training for long-term immigration later. If you’re near graduation or have just graduated, talk to your university’s international education office. They can help you explore your long-term work and immigration options. Obviously, IELTS Academic isn’t as “immigration friendly” as IELTS General Training. But Academic will give you some opportunities that you can’t get with a General Training score. And at the same time, General Training opens certain doors that IELTS Academic won’t. If you’re considering going overseas, but you aren’t yet sure how you want to do that, it may be good to take both exams? IELTS Academic and IELTS General Training are similar in many ways. Qualifying scores in the two versions of the IELTS can give you many options when you go abroad. 26 Responses to Can IELTS Academic be Used for Immigration? When I applied for the IELTS academic test I mentioned that the reason for taking the test is to register as a doctor in Australia. Now I want to apply for a master program in Canada, do I have to retake the test again? You may have to retake the test again, but you may not. IELTS scores expire in two years. So if you’re exam is more than two years old, you’ll need a retake. If not, then the same score you used in the Australian system should also be suitable for study in Canada. Immigration and temporary student status are not the same. If you want to study at law school, then you could use the Academic IELTS, but if you want to immigrate just for work purposes, no. If the law college pages have told you specifically you need both tests, then you need both tests. The schools would be the visa sponsors, so you need to meet their criteria exactly. I have registered for IELTS academic & my purpose is immigration. At time of registration, was not knowing which is suitable to my need and now only 1 week is left to my exam what should i do. Pls guide me. This depends on the country’s immigration policies. I recommend that you look up the policies for the country that you wish to immigrate to, and use that information to determine whether or not the Academic test is appropriate. Since your test is so close, you probably can’t cancel and get a refund (you should contact your testing center for more information). 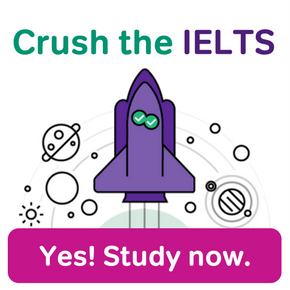 So, I recommend that you take the IELTS test and, if the Academic test won’t work for your purposes, you can schedule a General test later on. Your preparation for the Academic Test will also work for the General test, so the Academic test is good practice for the General one. Good luck! I want to work as a clinical psychologist in canada..also want Permanent residence in canada..which ielts is best for me ?? Academic or general?? Our expertise is in test prep, not immigration advice, so I’m afraid that we aren’t the best people to answer this question. I wouldn’t want to provide you with an incorrect answer to such an important question. I recommend that you read this blog post: IELTS for Medical Professionals and that you explore Canada’s Immigration Website. If you have further questions, you may want to reach out to an immigration representative or other immigration professional. Hi. Can I use my IELTS General score to apply for PG Diploma in Canada? In some cases this may be allowable, but it will depend on the schools individually. They are the ones sponsoring your visa, so you have to meet their individual requirements. I suggest contacting the admissions departments of the schools you wish to apply to. Good luck! Hi , i did my ielts in 2017 , so now i got admission in 2018 in australian college .so now my question is that my course is of 3 years and i will be applying for pr after my studies , so when i apply for pr till that time my ielts will be expiring cause it last for 3 year and my course will finish in 2020 and my ielts will expire in 2020 early , so do i need to take ielts again if yes then which one academic or the other one ? Should Professional teachers give IELTS Academic for Canada Immigration? 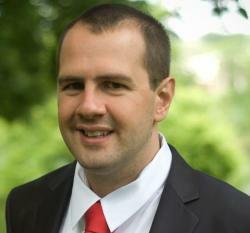 Will a professional teacher get PR in Canada for IELTS Academic? This is a question you will need to pose to immigration and/or the sponsoring body. The answer is, “it depends.” Good luck! I am a registered nurse i did ielts academic , but my employer from uk said we need ukvi academic ielts not only academic. I need more information about that. Unfortunately, this means that you need to register specifically for the UKIV IELTS. The British Council page is here. Your regular IELTS Academic test will not count for UK immigration purposes. Hi, I wanted to know how it works for a specific scenario. Suppose I have written the IELTS general test and applied for PR, and say, I got the PR for Canada. 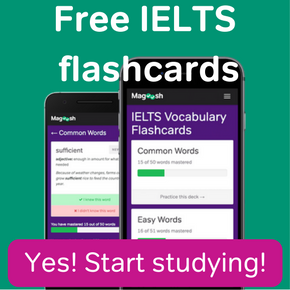 Would I still have to take IELTS academic to study for Masters program? I have taken IELTS (Academic) UKVI on 04.03.2017. Then I took IELTS (AC) (not UKVI) in June 2018. My IELTS UKVI will expire on 04.03.2019, but not IELTS AC without UKVI). 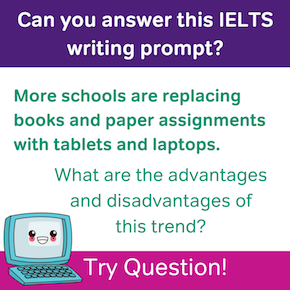 If I understand correctly, you took IELTS Academic at a UKVI testing center in 2017, and then took IELTS academic at a non-UKVI test center in 2018? If that’s the case your more recent IELTS Academic should be as valid for UK immigration as the 2017 one. Remember, of course, that IELTS Academic is only used for a few types of immigration, related to admission into UK university as an international student, or to skilled migration as a medical professional. Hi there. my wife want to Apply for me in UK Spouse visa. She is british citizen. I have done my IELTS UKVI (Academic) (Paper Based). Is it going to be acceptable? Please let me know. The Academic test should be acceptable for your application, but I recommend consulting with an immigration official directly in order to determine whether you would need to take the General test. Hi i want to ask that IELTS UKVI (Academic) is acceptable for canadian immigration or not??? To my knowledge, the IELTS UKVI Academic test and the IELTS UKVI General Training test are both the exact same as the regular IELTS Academic and IELTS GT exams. So I would assume that you can take UKVI Academic for Canadian student and medical professional visas. It also seems that you could take UKVI General training for general immigration to Canada. With that said, I do NOT know this for certain. I would recommend contacting Canadian immigration to confirm that UKVI is acceptable. I want to take IELTS Academic UKVI because I have heard that it is demanded for Engineers to achieve professional registry(I am Chemical Engineer with a Master) and I want to move to Germany but have open doors in UK. Is is a good idea?